In the ActivClassroom, bigger is better only most of the time. What do you do if your classroom or lecture hall is too large (or just not suitable) for an ActivBoard? Our ActivPanel can help. It’s a 15-inch LCD mini-board that plugs straight into your PC and lets you use a pen-like stylus to control our ActivInspire software, which can then be projected onto any size screen in razor-sharp detail. ActivPanel allows total control of the lesson, the lecture, and ActivInspire software, without forcing you to turn your back on the audience. Whatever is onyour PC’s screen shows up on your ActivPanel, and everything on your ActivPanel shows up on your room’s screen. Just make the necessary connections, grab your stylus, and connect with students, parents, attendees, or anyone else anxiously awaiting the show. 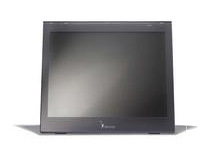 The ActivPanel is a 15-inch LCD mini-board that plugs straight into your PC and lets you use a pen-like stylus to control our ActivInspire software, which can then be projected onto any size screen in razor-sharp detail. Works with All ActivBoards; also works with 3rd-party Interactive whiteboards. Note: Does not require a whiteboard to function. ActivPanel is a fully Interactive LCD panel that plugs straight into your PC ... operates with a highly accurate wire-free mouse pen ... and comes with a choice of our award winning software, designed for your application. How does the AcitvPanel work? ActivPanel's LCD screen and accompanying pen can be used to manipulate content and interact with your class without turning your back on them. Use the pen and ActivPanel to add notes or drawings, to change flipcharts, drag and drop images, highlight items, scan through documents, internet, audio, video, etc – all at the press of a button.